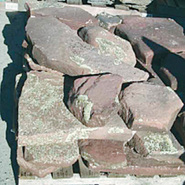 Flagstone is a flat, irregular cut stone used for exterior paving and flagging. 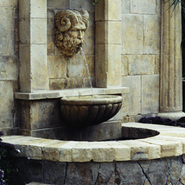 It is typically fine-grained sandstone, quartzite, bluestone, or slate. 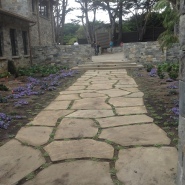 Flagstone is used for walks, patios, and driveways. It is priced by the ton, delivered on pallets in both select and patio grade.